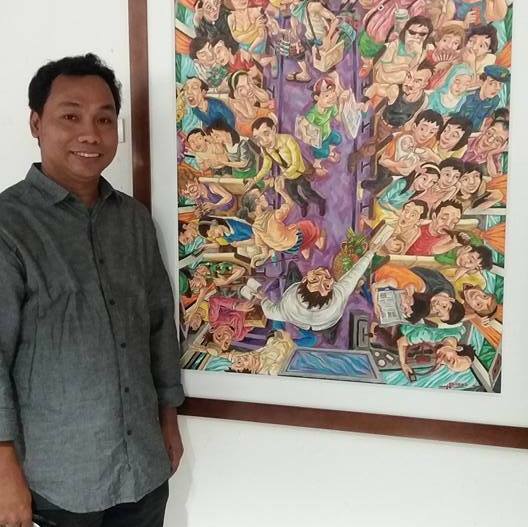 Peter Abordo was born on May 8, 1971 in Sampaloc, Manila. He studied in UST with Tam Austria, Mario Santiago and Butch Soriano as his professors. After college, he worked in an advertising firm and two animation studios. Having an animation background taught him to be a keen observer. He studied people’s body languages. He drew hundreds of poses, expressions, movements and postures of characters. It was this discipline that helped him create his subjects. His style turned ordinary everyday activities into an artwork that was worth a thousand words.